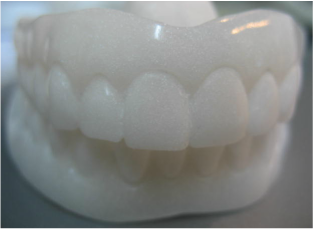 MacLarty Dental Lab can also help with the placement of your implants. 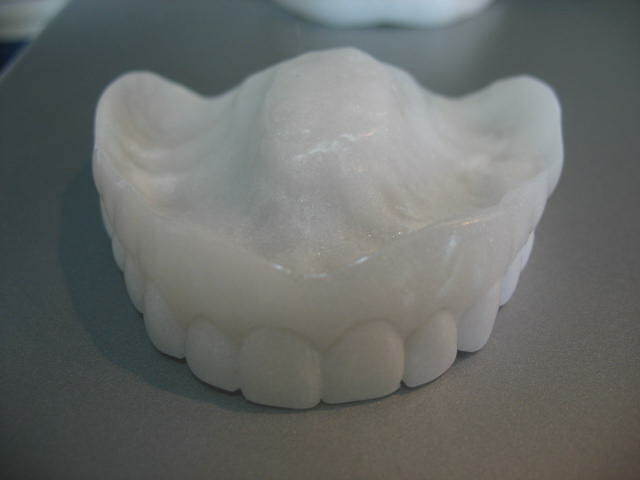 We can make you a Surgical Stent that will show you where the teeth will be when the prosthetic or crowns are finished. 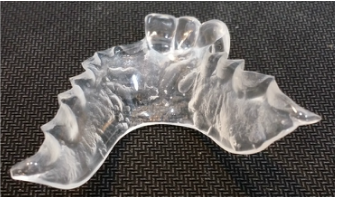 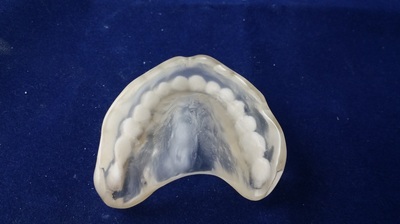 This will help to insure the best position for the implant in relation to the final product. 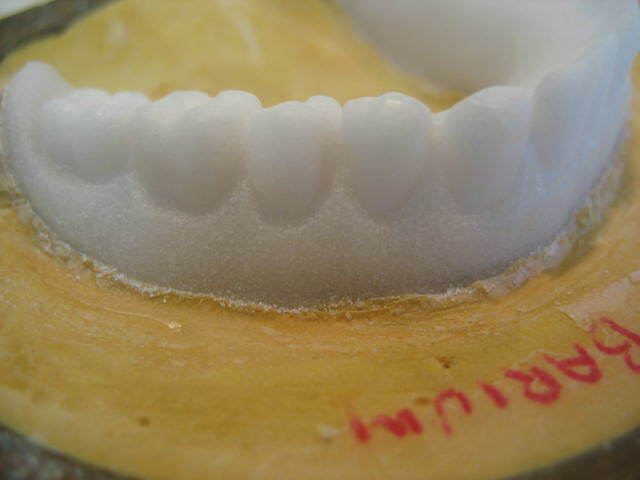 We leave the guide holes up to the surgeon, because they know best where to place the implants. 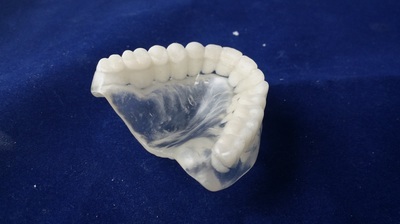 Most of the surgical guides we make are clear acrylic. 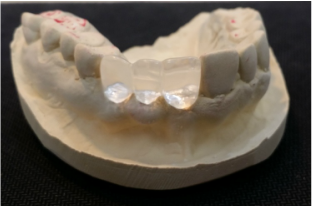 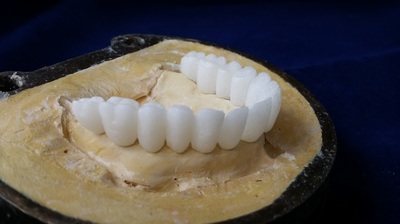 We either wax the teeth in place or use study models to create the stents. 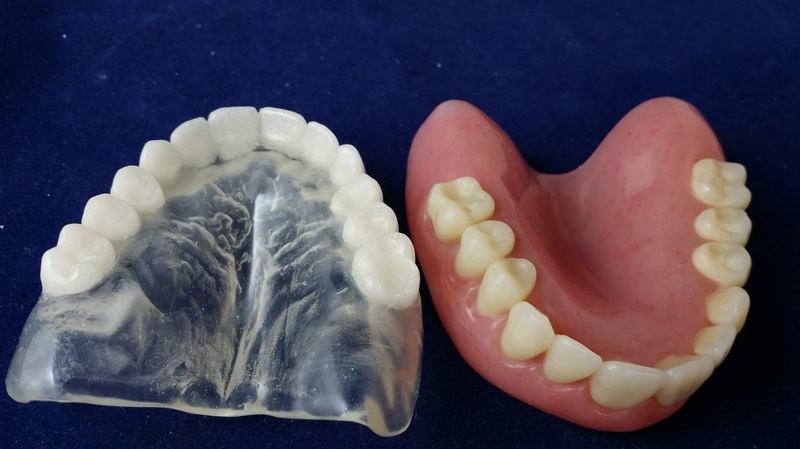 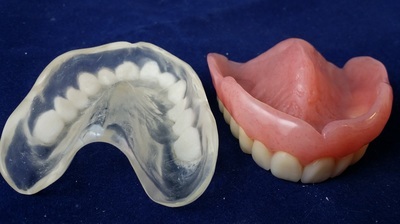 We can also use an existing denture or partial to make the stents. 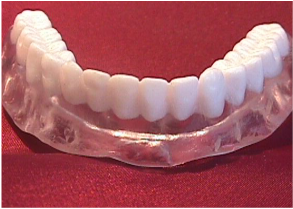 These stents are used to show the position when getting a CT scan. 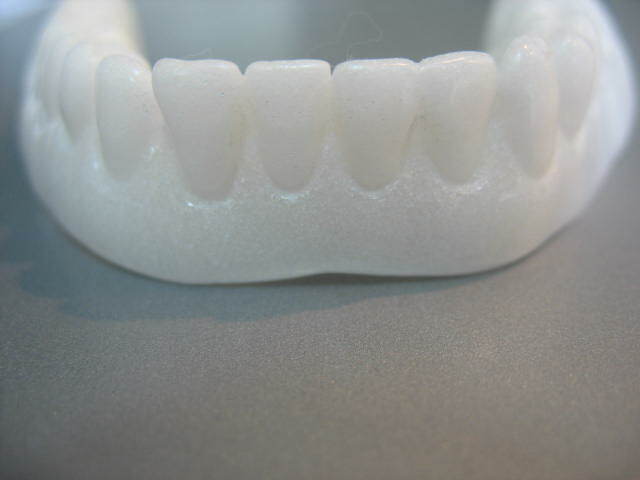 The teeth have barium added to the acrylic. If you need a Stent for a CT Scan, our Barium Stent will meet your needs. 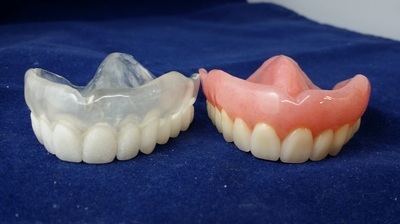 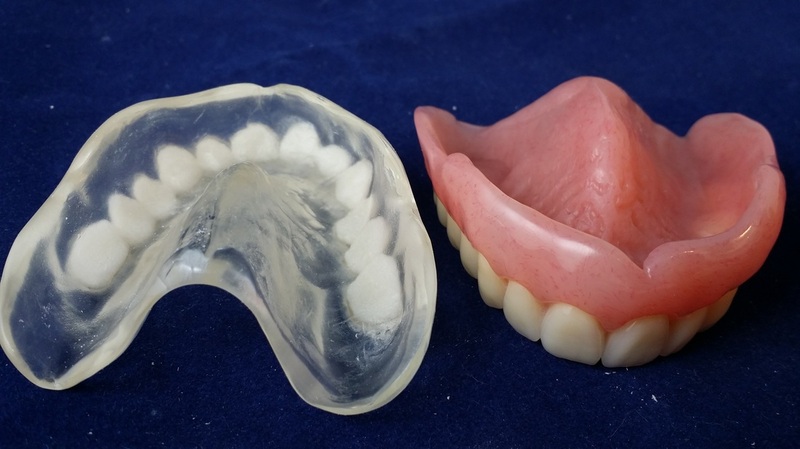 The most popular method is to send us their existing denture for us to duplicate and make the stent. 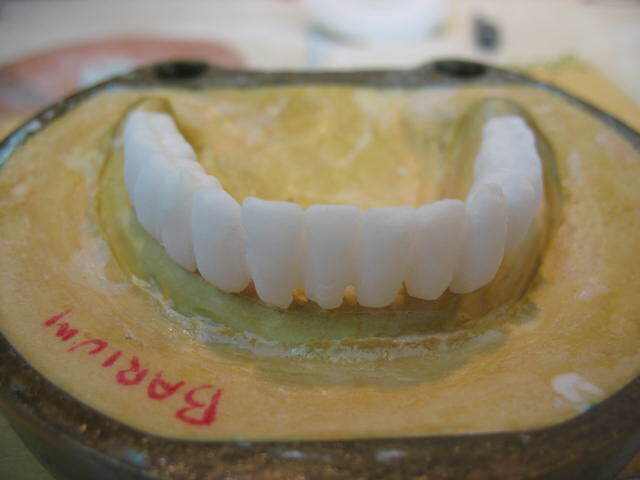 We will use the mold to create the teeth that extend all the way to the model. The teeth are made from a clear acrylic and barium mix. If we are making you an Immediate denture, we can make you a stent at the same time. 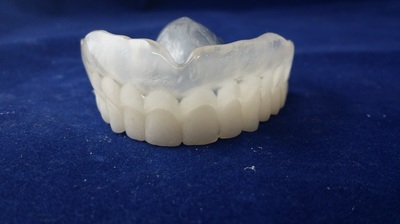 We can also fabricate a Barium Stent with two layers. 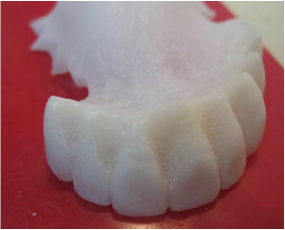 Normally we do a 10% barium mix for the teeth and a 5% barium mix for the base.